The Sustainability Academy PTO – Proudly Supporting the Sustainability Academy at Lawrence Barnes – Burlington, VT! Promoting Bright Futures at the Sustainability Academy in Burlington, VT! Welcome to the home of the S.A. PTO. 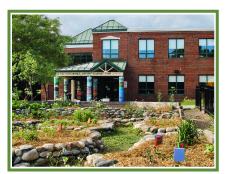 Located in Burlington, VT, we proudly support the Sustainability Academy at Lawrence Barnes – a unique magnet school formed to promote ecology, conservation, sustainability, and social equity amongst diverse populations. We believe that all people have the right to healthy futures, and a safe, clean learning environment – with value and potential for every student, regardless of status or background. If you need to reach us for more information, please use our Contact page. Alternately, please feel free to call and leave us a message at (802)864-8480 during normal school hours (Mon-Fri 8am-3pm). Whether you’re a parent, staff member, student or community member, welcome to our website!